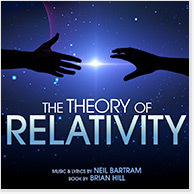 From the Drama Desk Award–nominated creators of Broadway's The Story of My Life comes THE THEORY OF RELATIVITY, a new musical written for and about college-age youth. Much in the style of A Chorus Line, composer/lyricist Neil Bartram and bookwriter Brian Hill sat down with a group of young actors and listened to their hilarious and heartbreaking stories about home, childhood, family, love and loss - a joyous musical exploration of the communities we build out of our shared experiences. 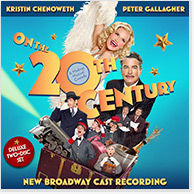 While the show garnered five Tony Awards during its original 1978 run, it was only with the opening of this new production that it has come to be celebrated as a classic with Tony and Emmy Award-winner Kristin Chenoweth and Golden Globe-winner and Tony Award nominee Peter Gallagher. The New York Times cheered, "This production not only retains but also amps up what was good about the original… shining a spotlight on the shrewd silliness and alchemical fizz of Cy Coleman's operetta-style melodies and Comden and Green's giddy gift for showbiz satire." 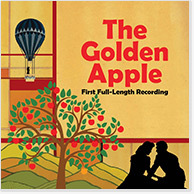 THE GOLDEN APPLE was hailed as "the most original musical since Oklahoma!" (The Washington Post) and "the best thing that has happened in and to the theatre in a very long time" (New York Daily News) and had all but slipped into obscurity until November of 2014 when the Lyric Stage of Irving, Texas, mounted a fully-staged revival of THE GOLDEN APPLE, featuring an orchestra of 38 and a 43-member cast, and PS Classics was there to preserve the score in its entirety. 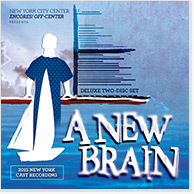 Featuring nearly 90 minutes of previously unrecorded music and the complete libretto, this deluxe two-disc cast recording gives new life to a musical milestone of the American theatre. 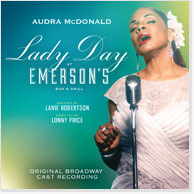 Experience on disc the performance that won Audra McDonald her unprecedented sixth Tony Award. "One of the greatest performances I ever hope to see" is how New York Magazine described McDonald's portrayal of Billie Holiday in the dramatization of one of the final concerts in the beloved singer's extraordinary, tragic life. Now, "the best 90 minutes you'll ever witness" (NY1) have been preserved on disc giving audiences the chance to savor "not just one but two of the most extraordinarily gifted dramatic vocalists America has produced" (Los Angeles Times). 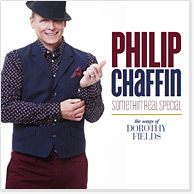 For his fourth solo disc, actor-singer Philip Chaffin turns to one of the most gifted songwriters of Broadway's Golden Age, the great lyricist Dorothy Fields. As Tony Award-winning composer Maury Yeston notes in the album's liner notes, "There's an elegance, exuberance and effortlessness to Fields' lyrics; the same could be said of Chaffin's performing style. For some reason, few men have taken on the Fields catalog; this album turns out to be a perfect match of singer and songwriter." 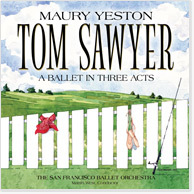 PS Classics continues its collaboration with Tony Award-winning composer-lyricist Maury Yeston (Nine: The Musical, Titanic, Death Takes a Holiday) with the premiere recording of Yeston’s TOM SAWYER - A BALLET IN THREE ACTS, adapted from Mark Twain’s classic novel. Martin West conducts the seventy-piece San Francisco Ballet Orchestra in this two-disc world premiere recording. The first fully-staged New York revival of PASSION has grown in both critical and popular esteem to become what many consider to be Sondheim’s deepest and most powerful evening of musical theatre, stars Judy Kuhn as Fosca and Ryan Silverman. The New York Daily News proclaimed “Musical theater scores don’t come more glorious!” Now PS Classics, home to a dozen Sondheim discs, is proud to preserve this new PASSION in an expansive two-disc set. 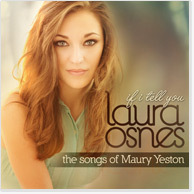 Broadway’s newest star, Laura Osnes takes on the work of Tony-winning composer Maury Yeston - one of the Great White Way's most celebrated composer-lyricists on the first solo album devoted to his songs drawn from Osnes's sold-out performances at 54 Below in November of 2012. Now that memorable performance is lovingly preserved in a new studio recording. 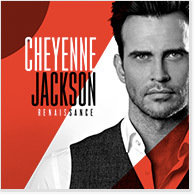 Grammy Award-nominated Cheyenne Jackson brings his radiant personality and stunningly flexible voice to RENAISSANCE, an album adapted and expanded from his solo concert Music of the Mad Men Era. Featuring a 22-piece orchestra and a guest appearance by Tony Award-winner Jane Krakowski, Renaissance includes songs in a wide variety of popular styles of the era. 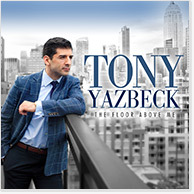 Having conquered Broadway with a string of acclaimed roles – from Gypsy to White Christmas to On the Town – triple-threat Tony Yazbeck sets his sights on reinventing the solo album with this studio recording, adapted and expanded from his one-man show. Blending song, dance and personal narrative, Yazbeck breathes new life into not only the time-honored tale of the Broadway dreamer but the solo album as well, with ecstatic tap dancing and a moving story that deepens the emotional impact of Yazbeck's carefully curated program. In this fresh, daring new musical, based on the acclaimed graphic novel by Alison Bechdel, the cartoonist relives her unique childhood playing at the family's Bechdel Funeral Home, her growing understanding of her own sexuality and the looming, unanswerable questions about her father's hidden desires and sudden death. 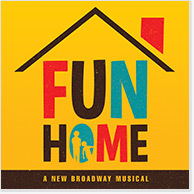 With music by four-time Tony Award-nominee Jeanine Tesori and book and lyrics by Tony Award-nominated playwright Lisa Kron, Fun Home features a splendid cast, including Tony Award-winner Michael Cerveris and three-time Tony Award-nominee Judy Kuhn. 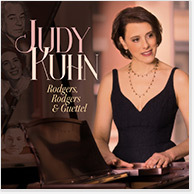 Four-time Tony Award–nominee Judy Kuhn delivers a master class on three generations of Broadway songwriters: Richard Rodgers, his daughter Mary Rodgers, and her son Adam Guettel. 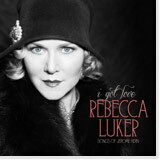 Drawn from Kuhn's sold-out American Songbook concert, RODGERS, RODGERS & GUETTEL gives Kuhn the opportunity to make musical and thematic connections that span generations which The New York Times hailed as "a top-of-the-line singer whose approach might be described as one of passionate restraint… conveying as much insight and empathy as more overtly dramatic singers without straining for a show-stopping theatricality; her delivery is refined but not prim, her intonation impeccable." Two-time Tony Award-winner Sutton Foster "dazzles in a career-redefining performance," hails The New York Times, "revealing the full range of her expressive gifts. 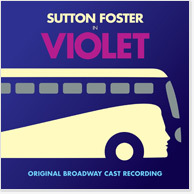 If the time has come for Sutton Foster to take her place among the first rank of Broadway performers, the moment also seems ripe for Violet to be acknowledged as an enduringly rewarding musical.” Foster heads a cast of Broadway stars in the debut Broadway production of VIOLET, with music by four-time Tony Award-nominee Jeanine Tesori (Fun Home) and book and lyrics by Brian Crawley. 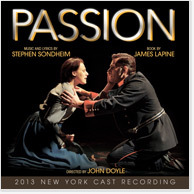 preserving Roundabout Theatre Company's acclaimed production in a deluxe two-disc set. This love song to Hollywood's "it takes one of every kind" platoon flicks, tells the story of Stu, a scared Midwestern kid who becomes a reporter for (the real) Army magazine Yank, faces his fear in battle, and perhaps even scarier for him, finds love with a fellow soldier named Mitch. 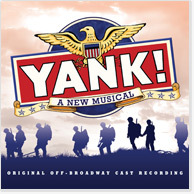 With a lively and tuneful score inspired by the theatre and pop sounds of the 1940's, the show captures the spirit and exuberance of the World War II era even as it explores questions of prejudice, courage and survival. 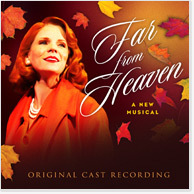 Based on the 2002 motion picture, FAR FROM HEAVEN is a powerful story of romance, betrayal and intolerance, as a woman grapples with her identity in a society on the verge of upheaval. 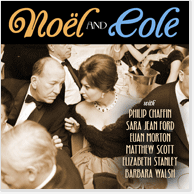 PS Classics is proud to preserve Frankel and Korie's lush new score - both jazz-inflected and hauntingly lyrical - in its original cast recording. 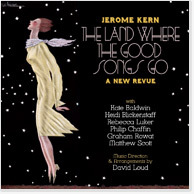 Using the astonishingly fresh music of Jerome Kern and the lyrics of over a dozen of his collaborators, including Oscar Hammerstein II, Dorothy Fields, and P.G. Wodehouse, this new revue, weaves the stories of three couples into a theatrical song cycle that sparkles with wit, tenderness, and warmth with a cast of top Broadway talents. Anthony Rapp's New York Times best-selling memoir becomes a stunning one-man show about grief, hope and triumph. WITHOUT YOU begins in 1994, with Rapp about to audition for a new musical called Rent. From there, Rapp movingly intertwines two stories: his experience as part of the original production of Rent and the shared grief when its young composer Jonathan Larson died suddenly the night before the musical’s off-Broadway premiere -- and Rapp's achingly beautiful relationship with his mother, who was battling cancer during this turbulent time. For more releases, please see our Catalog.